Moto G7, G7 Power, and G7 Play hands-on: Is Moto losing the thread? Motorola enjoyed massive success with the original Moto G phone. It came along at a time when reasonably priced unlocked phones were virtually non-existent, but the Moto G was soon joined by other low-cost devices. 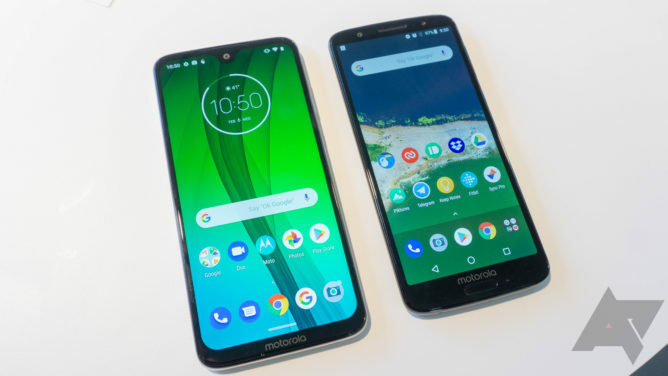 The value proposition has weakened over time as those other low-cost phones crowd the market, but the G-series has largely carried Motorola. The company didn't even bother to launch a full-fledged Moto Z flagship phone in 2018—the Z3 was a Verizon-exclusive phone engineered merely to plug into the still-unreleased 5G mod. 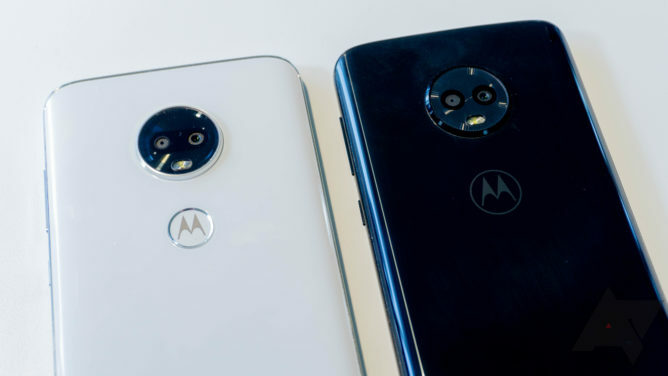 It's time for a new Moto G generation to drag Motorola forward, and there are either three or four of them, depending on where you live: the G7 (above), G7 Power, G7 Play, and G7 Plus. The pricing as crept upward along with some specs, but there are still some curious omissions. With the G7 family, I feel like Motorola is losing its focus on what made the G series so popular in the first place. Before we get into the specifics, here are all the specs you're dying to know about. Be aware, the G7 Plus is only launching in certain markets. We don't have full specs for this phone, but it seems to be a G7 with a Snapdragon 636 and faster charging. G7 on the left and G6 on the right. There are a few things I truly like about the new Moto G phones. They're all shipping with Android 9 Pie, and Motorola's version of the OS is largely inoffensive. I like features like Moto Display and Moto Actions, even though they haven't changed in any appreciable way for years. 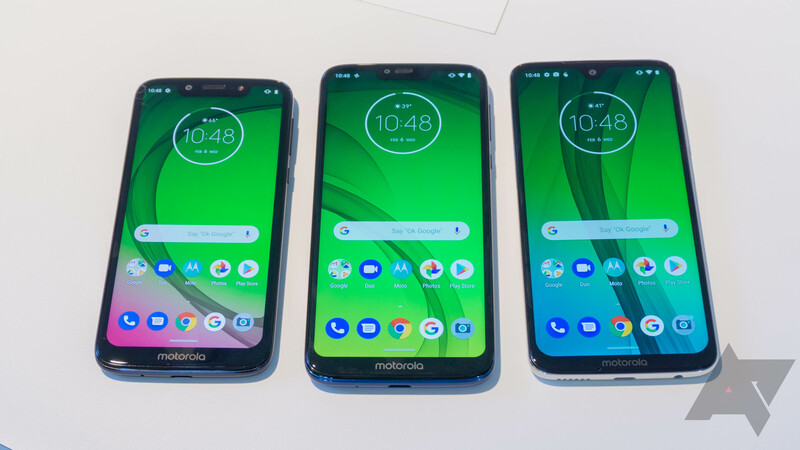 Moto went with a taller 19:9 screen ratio, which makes the phones easier to hold even when the screen measurements swell to 6.2-inches. 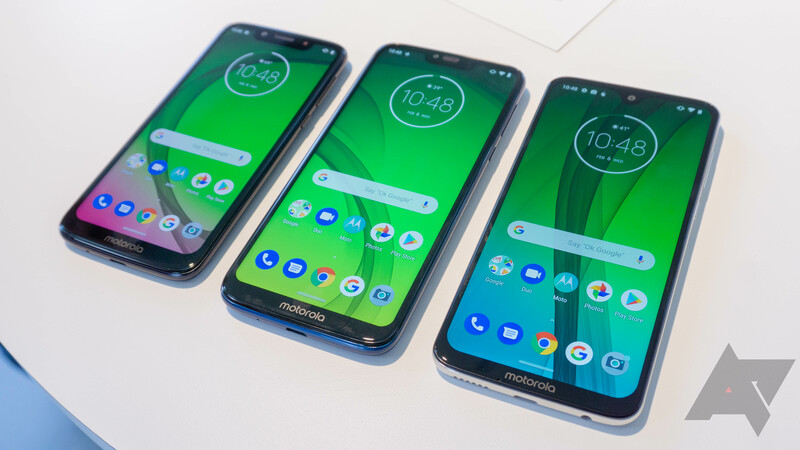 Motorola has also used the Snapdragon 632 in all three devices—last year's G-series phones topped out with a Snapdragon 450. The 632 is still a low-power octa-core chip, but it steps up to Qualcomm's modified Kryo 250 cores from the regular A53 in the 450. We've got USB Type-C and a headphone jack on all three phones, too. It's not all good news, though. 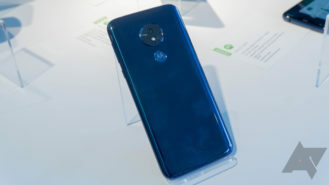 Starting at the low end, the Moto G7 Play has a plastic housing and a 5.7-inch 720p display, which is toward the bottom of what I'd consider acceptable. The G7 Power should be the most interesting of the lot with its 5,000mAh battery. However, Motorola equipped this phone with a 720p display as well. At 6.2-inches, that resolution doesn't seem sufficient. This phone is glass instead of the cheap plastic of the G7 Play, but it's not Gorilla Glass. That's a bit concerning, as it may get scratched or cracked more easily. The band around the edge of the phone is plastic like the Play, but it's painted to look metallic. 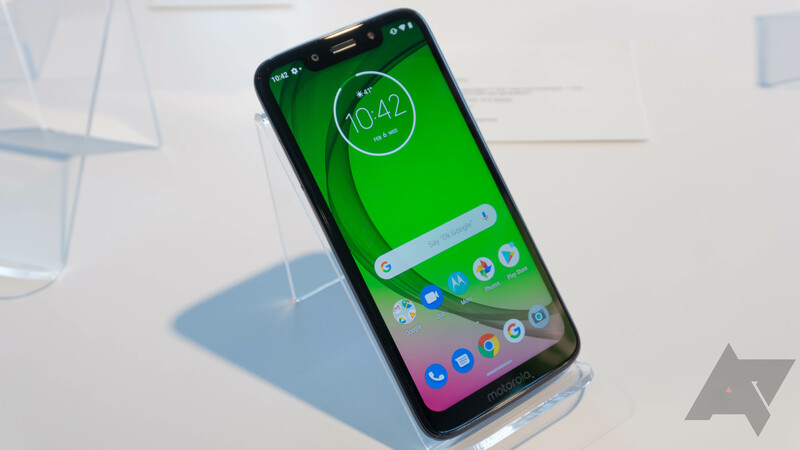 The Moto G7 is the "flagship" of the new G-series with its 1080p display and Gorilla Glass chassis. It does look and feel nicer than the other two phones, and the white color is stylish. The edge of the device looks like metal, but it's actually plastic with a metal-like coating that I suspect will be vulnerable to scratching (see above). The real issue for the G7 is the price tag. At $300, the G7 is going to have trouble competing with Nokia's increasingly appealing mid-range phones. Those devices are Android One, so they get more reliable updates (Moto promises bi-monthly patches for two years and one major OS update). Even last year's Nokia 6.1 is cheaper than the G7 and just as good or better in many ways. Pricing for the other two phones feels inflated as well when we're talking about 720p screens. None of these phones have NFC, which is no longer acceptable. I know that G-series phones have traditionally not had NFC, but times have changed, and Moto is charging up to $300 for the G7. At $300, a phone should have NFC. The value just doesn't seem to be there anymore. 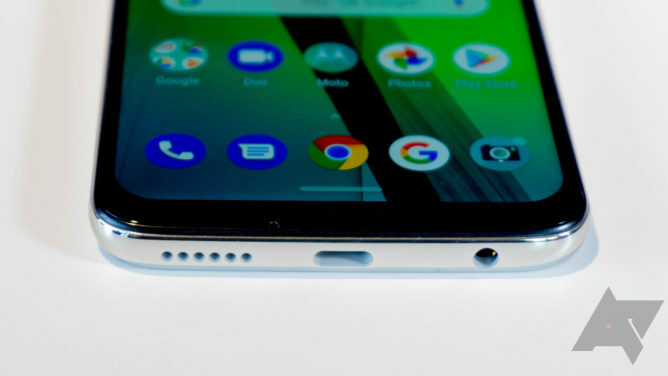 There are also notches and chins on every one of these phones. That's to be expected with LCDs, but the assymetry still bothers me. The G7's water drop notch is the least offensive, but it still has a logo-emblazoned chin. I've only been able to use these phones for a short time, so stay tuned for a full review. Motorola doesn't have a specific release date but says the phones will be available at some point in the spring in the US and Canada. They'll be sold unlocked, of course, but you'll also see some of them on carriers. The phones are launching in Mexico and Brazil today, plus these markets get a G7 Plus. We haven't seen that phone in the flesh because it's not for the US market. The G7 will show up on Google Fi, and the G7 Power will come to Verizon and T-Mobile. Meanwhile, the G7 Play will pop up on some pre-paid carriers like Boost. The numbers above are the full unlocked price; it's possible carriers will cut you a deal on the phones. Welcome to the fastest performing, smartest, most immersive moto g family experience ever. Since moto g redefined the smartphone market in 2013, more and more consumers are interested in premium phones at affordable prices. Generation after generation, we remain focused on our main consumer commitment: offering phones that have the premium features you deserve, without sacrificing the quality, affordability and dependability you expect. Because no two consumers are alike, smartphone needs are also very different. The new moto g7 series includes the features that matter most to a very important three letter word - Y. O. U. That's why Motorola is launching four versions of our best-selling smartphone yet -- with better cameras, battery life, processing speed and maximized displays. Designed to take your best pictures ever and keep up with your fast pace life, the new moto g7 plus is all about class leading camera technology and responsive performance. A little movement or poor lighting conditions are no match for the 16 MP dual camera system with optical image stabilization. Plus, new camera software and AI helps you shoot like a pro with amazing features like Smart Composition and Auto-Smile capture. You’ll never have to worry about missing a great shot thanks to the all-day battery with 27W TurboPower charging for 12 hours of power in only 15 minutes.1,2 Combined with the Qualcomm® SnapdragonTM 636 Mobile Platform, you have the fastest moto g ever. Its new u-design, 6.2" Max Vision display gives you an immersive content experience with Full HD+ resolution, amplified by Dolby AudioTM crystal clear stereo speakers. The moto g7 plus is available today in Brazil and Mexico. The moto g7 plus will be available from mid- February throughout Europe. It will roll out over the coming months in Australia and in other countries in Latin America with a starting MSRP of 299.99€ EUR. For full information and specifications, visit our website. moto g7: See it. Capture it. Interact with it. Capturing, creating, and sharing creative content has never been easier thanks to the new moto g7. Videos and images come to life on its u-design, 6.2" Max Vision Full HD+ display. The 12 MP dual camera system is equipped with blur effects, Spot Color, Auto Smile Capture and Google LensTM so you can unleash your creativity and interact with the world around you. 50% faster than the previous generation, the moto g7 can tackle your most intensive creative tasks thanks to a super responsive SnapdragonTM 632 Mobile Platform.3 TurboPower charging and an all-day battery, help you power through even the longest creative sessions.2 And with an upgraded, contoured Gorilla Glass design, it looks as great as it performs. The moto g7 is available today in Brazil and Mexico. The moto g7 will be available from mid-February throughout Europe. It will roll out over the coming month in many countries in Asia Pacific, Latin America and North America with a starting MSRP $299 USD. For full information and specifications, visit our website. moto g7 power: Massive Battery life. Nonstop fun. A new edition to the moto g family, the moto g7 power was designed to address the number one consumer pain point when it comes to smartphones: battery life. We designed the moto g7 power with a industry leading 5000 mAh battery, so you can work and play for 60 hours on a single charge.2,6 When you do need to refuel, get hours of power in just minutes with TurboPowerTM charging, so you can get back to doing what you love.2 Enjoy ultrawide views on the stunning 6.2" Max Vision HD+ display and put all that battery life to work enjoying your favorite movies, videos and games. The moto g7 power is supported by a powerful SnapdragonTM 632 Mobile Platform that responds quickly to everything you do. The moto g7 power is available today in Brazil and Mexico. The moto g7 power will be available from mid- February throughout Europe. 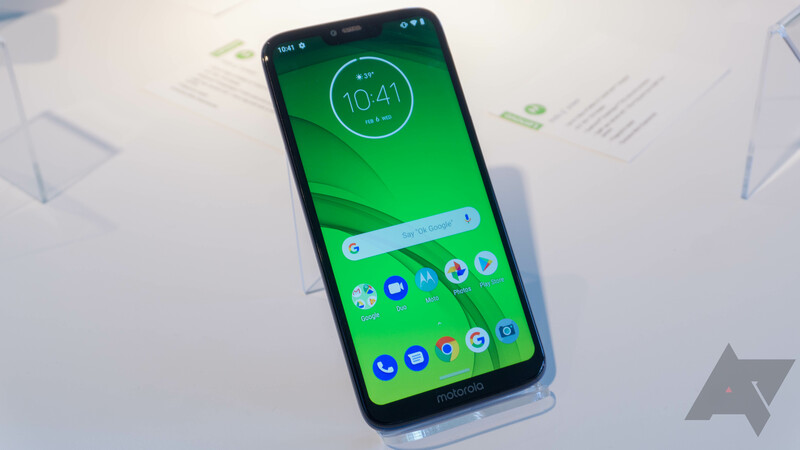 It will roll out over the coming weeks in India and the coming month in various countries in Asia Pacific, Latin America and North America with a starting MSRP of $249 USD. For full information and specifications, visit our website. moto g7 play: Compact design. Huge performance. Don’t let its small size fool you. The moto g7 play is a performance powerhouse that leaves lag time behind. With a SnapdragonTM 632 Mobile Platform, the moto g7 play is 60% (110 % in U.S.) faster than the previous generation.4,5 It’s compact design boasts an ultrawide 5.7" Max Vision HD+ display with a 19:9 aspect ratio that brings expansive entertainment to the palm of your hand. And, if a once in a lifetime moment comes, you won’t miss capturing it thanks to the 13 MP rear camera with PDAF and zero shutter lag, which focuses on your subject in the blink of an eye. The moto g7 play is available today in Brazil and Mexico. The moto g7 play will be available from mid- February throughout Europe. It will roll out over the coming month in various countries in Latin America and North America with a starting MSRP of $199 USD. For full information and specifications, visit our website. Exclusive Moto Experiences The newest generation of moto g smartphones come equipped with exclusive Moto Experiences that make using your smartphone easier and more enjoyable. Newly redesigned One Button Nav replaces navigation buttons with one simple on-screen bar. Combined with AndroidTM 9.0 Pie, every swipe, tap, and hold works even better than before. We’ve also made Three Finger Screenshot even better, so you can now take screenshots longer than your screen and edit them right then and there. Combined with all of your favorite Moto Experiences like Quick Capture, Fast Flashlight and Attentive Display, using your smartphone has never been easier. 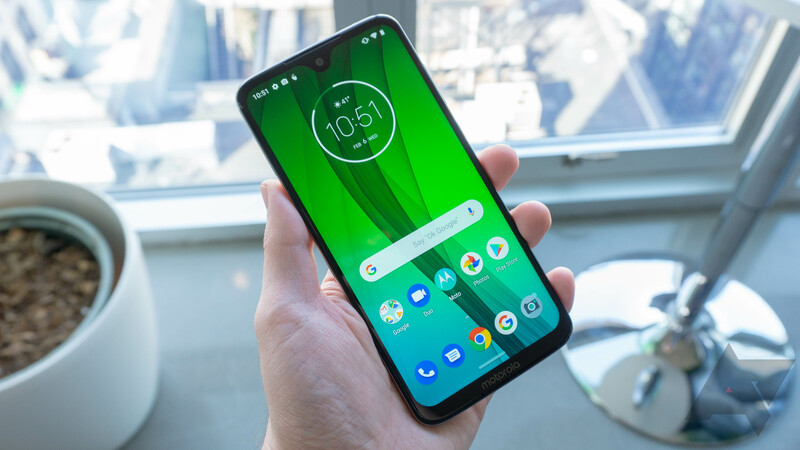 United States The new moto g7 will be released in the U.S. starting this spring and will be universally unlocked at Best Buy, B&H Photo, Walmart and on Amazon.com with subsequent availability at Google Fi, Republic Wireless and Ting. 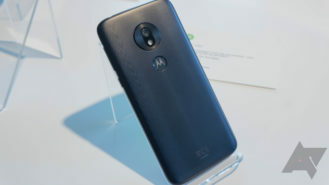 The new moto g7 power will be released in the U.S. starting this spring with subsequent availability at T- Mobile, Metro by T-Mobile, Verizon Wireless, Cricket Wireless (moto g7 supra), Consumer Cellular, Republic Wireless, Ting and Xfinity Mobile, and will be universally unlocked at Best Buy, B&H Photo, Walmart and on Amazon.com. Canada The moto g7 family be available in Canada starting this spring with varying availability at Bell Mobility, Virgin Mobile, Videotron, Rogers, Fido and Freedom Mobile. Check with your local PR rep for exact timing, availability and pricing by market.